3 months no payments and no interest (“Payment Holiday”) options are available with Q Card Flexi Payment Plans – please contact us for details. Account Fees may apply. 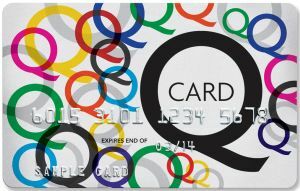 A $55 Establishment Fee for new Q Cardholders and a $35 Advance Fee for existing Q Cardholders will apply. Q Card standard Interest Rate applies to any outstanding balance at end of Payment Holiday. Q Card lending criteria, yearly card fees, terms and conditions apply. No payments and no interest for 3 months (“Payment Holiday”) is available on all purchases at participating retailers on Q EFTPOS Plans. Account Fees may apply. Q Card Standard Interest Rate applies to any outstanding balance at end of Payment Holiday. Q Card lending criteria, fees, terms and conditions apply.